High-density polyethylene (HDPE) is light-weight, corrosion-resistant, flexible, long-lasting, and economical, making it an ideal material for buried fire mains. While fusion has traditionally been seen as the “gold standard” in joining buried HDPE lines, empirical data and the launch of a new joining system suggest a change in thought is warranted. 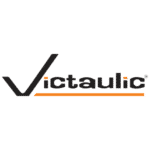 The Victaulic® Refuse-to-Fuse™ system mechanically joins HDPE pipe from 2 – 36″ | 63 – 900mm, SDR 7 – 21, and has been specifically designed with buried applications in mind. Constructed of durable ductile iron housings and fluoropolymer-coated, corrosion-resistant hardware, Refuse-to-Fuse couplings are fully-restrained and protected from even the most challenging underground environments. If there is an area where an engineer or property owner determines additional protection is desirable, a range of industry-accepted coating and wrap options are available. System confidence is a critical element in the construction of fire systems. With FM-approved Refuse-to-Fuse couplings, high-quality joints are easier to achieve and easier to verify. Major variables, such as environmental conditions and crew skill level, along with other variables unique to the fusion process including heating plate temperature control and heat and cool times, often affect the integrity of a fused joint. Unlike fusion, the Refuse-to-Fuse system is all-weather and uses simple tools for installation, leaving virtually no room for error. Additionally, joint integrity can be visually verified after installation by ensuring couplings are tightened bolt pad to bolt pad. Furthermore, reliable, non-destructive testing is possible exclusively on mechanically-joined HDPE lines. Refuse-to-Fuse couplings offer the most efficient way to join HDPE pipe – up to ten times faster than fusion, which is naturally a slow process even in ideal conditions – keeping any HDPE fire line from delaying a construction schedule. 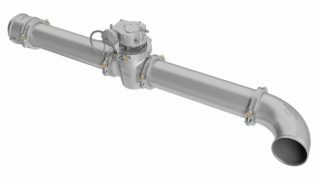 They can also be installed in vertical orientations, on difficult terrain, and in tight spaces, like the narrow trenches where fire mains often lie, eliminating the space needed for fusion machines. 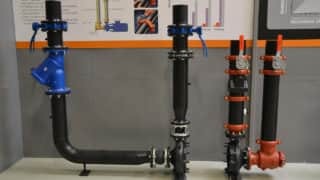 Victaulic’s Refuse-to-Fuse system for HDPE includes Style 905 Coupling for Plain End HDPE, Style 907 Transition Coupling for HDPE-to-Steel Pipe, Style 908 for Double-Grooved HDPE Pipe, Style 926 Mechanical-T Spigot Outlet, and HDPE plain end fittings. For more information, please click here.